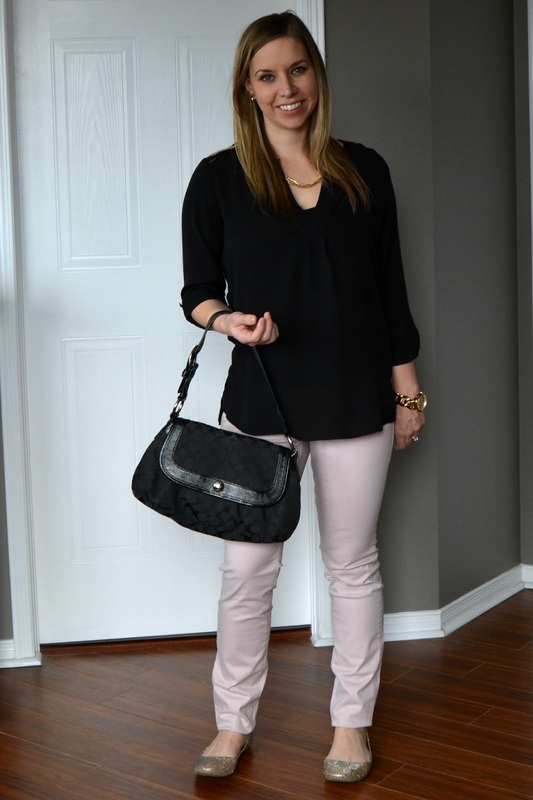 Simply Shaunacey: Style Perspectives: shades of pink and GIVEAWAY!!! 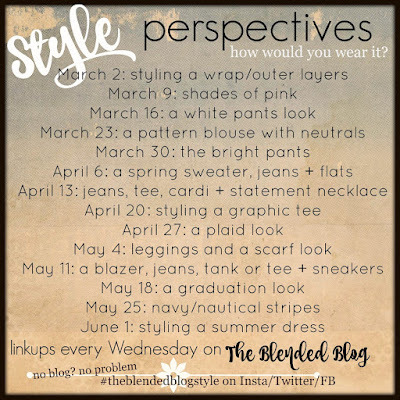 Style Perspectives: shades of pink and GIVEAWAY!!! 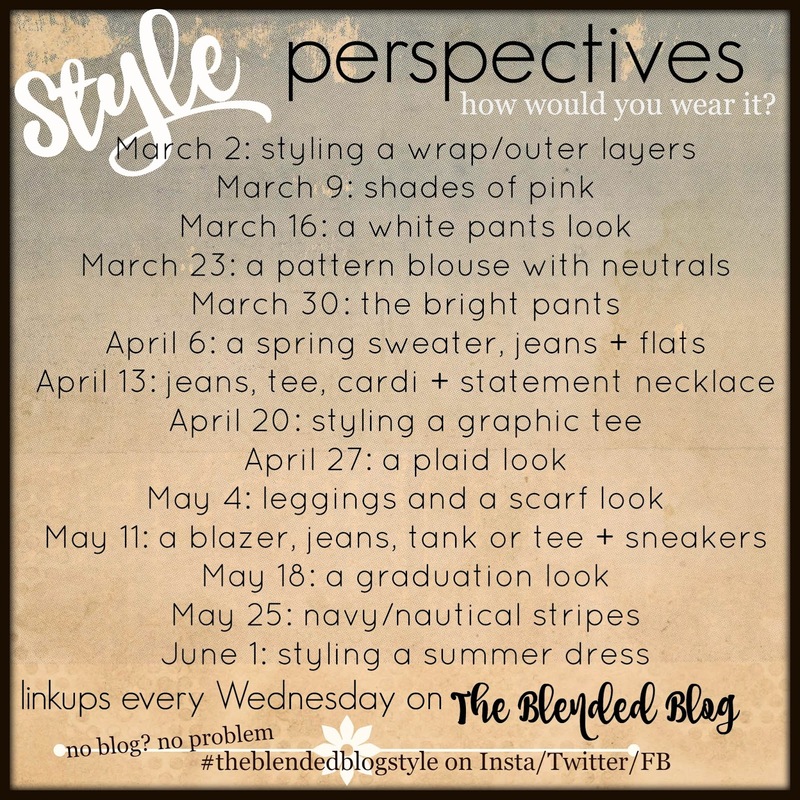 Welcome to week two of Style Perspectives hosted by the Blended Blog. This week we're styling shades of pink. BUT before I jump into how I wore pink - check out how all the Blended Blog ladies styled a wrap/outerlayers. Alright, now onto me wearing pink. First, let me tell you that I randomly bought these pants online (they were on sale for $15!) and I really had no idea what color they were. They were called violet but looked white. I took the plunge anyways. Wasn't I pleasantly surprised when I opened the package to see one of Pantone's colors of the year staring back at me?! Now that's just lucky! AND they fit (okay, maybe not technically as I'm vertically challenged, but for the most part they're all good). 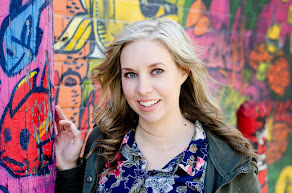 Second, even with all the craziness up in my house (more about that here), I somehow managed to find some time to take a few pics... not exactly high quality but hey, I took pics... child-FREE!AND they're not mirror selfies. #winning (and yes, these are the things I get excited about these days). I'm not in love with this, at all. I considered not posting it, but I accidentally selected it and figured here's to transparency. The purse doesn't match and looked a much different tone in my closet (now I'm deeply concerned about my closet lighting and some previous pairings - le sigh). Also, top isn't super flattering, or perhaps I need to drink less wine do more crunches. I should probably ditch it. Duly noted. I do love the pants and the boots though so there's that. This one is kinda "meh" for me. Maybe I'd like it better with closed-toe shoes?! Maybe I just need a cute purse or something. Maybe I just don't get out of the house enough to wear stuff like this lol, yes, let's go with that. I also came to the conclusion they'd look pretty with a white top of some kind but I own no white tops. I see a shopping trip in my near future. 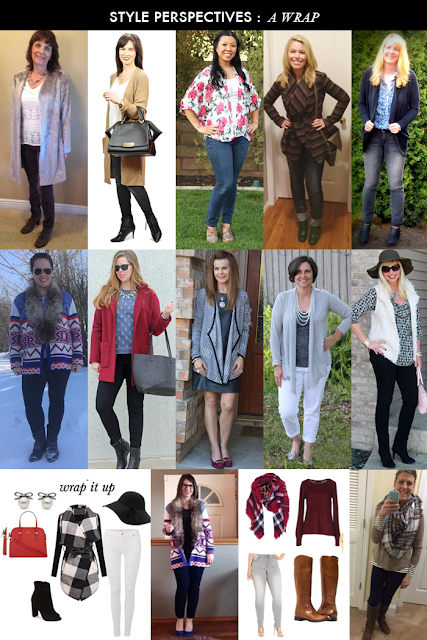 Make sure you stop by the Blended Blog to see the featured lady AND the top two links from last week's linkup!!! As a reward for being so freaking awesome, we're giving you the chance to win some PayPal cash!!! Enter below and Good Luck!! Make sure you come back next Wednesday to see how we're all wearing a white pants look (eeeeek. In can you were wondering how I feel about white pants... click HERE).